17. 2. 18 - WRWS/AQHA - So schult man sein Pferd, Signalen nicht vorzugreifen, Teil 2. A continuation of last month’s horse-showing tip on how to school against seasoned and green horses’ tendencies to anticipate. When I school the gate, I reinforce “Whoa” in four places: the spots in this maneuver where I’m most likely to lose my horse’s attention. First, when I say “Whoa,” my horses already know that means all four feet are to stay on the ground, they are to be straight through their body, straight through their head and neck, and soft down in the bridle. Winning in the show pen takes hours and hours of preparation in the practice pen. Watch our "Showing to Win: Trail" DVD and learn more about what it takes to be on top. If you run into problems as you are schooling, especially with slow maneuvers, step out of the maneuver to fix it. Anxiety is easy to create in those slow maneuvers, especially in the back-through and the gate. I try to have horses come to those maneuvers when they are mentally and physically ready to do slow work. Trail is a complicated event with many different parts. Learn more about how to train for this class with our "Showing to Win: Trail" DVD. In trail, most people have the highest percentage of penalties on the slow maneuvers. That’s a fact if you look at score sheets as a whole, individual after individual, horse after horse. To read more about schooling your horse, go to AQHA Daily. unter dem Motto COME TOGETHER lädt Euch der Vorstand ein, um sich im Rahmen der Jahreshauptversammlung mal wieder mit Euch zu treffen, bei einem angehängten kleinen Osteopathie-Vortrag und der Vorstellung der EWU Sachsen-Anhalt für diejenigen, die vom Westernreiten noch nichts wissen. Möchten wir Euch gern gegen eine Pauschale von 5 € für Mitglieder und 10 € für Nicht-Mitglieder zum geselligen warmen Abendessens und Trinken begrüßen. Also nehmt euch am 17. Februar gegen 18 Uhr die Zeit für Fachsimpeln und Tuniergespräche und all dem, was zum Pferdeleben dazugehört. Wir freuen uns sehr über reges Erscheinen der Mitglieder! 15. 2. 18 - WRWS/AQHA - Showmanship Patterns. This FREE e-book packs in 40 showmanship patterns so you can practice for your next horse show. Showmanship is one the most popular horse show classes because it offers challenges for every level of rider, from beginners to seasoned horsemen. The free Showmanship Patterns e-book was designed with every level of exhibitor in mind, too. The Showmanship Patterns e-book provides horse show patterns perfect for 4-H showmanship at halter exhibitors, novices and more. These patterns were previously featured in Rookie and Level 1 classes at AQHA Level 1 Championships, as well as youth, amateur and Select amateur at AQHA world championship shows. 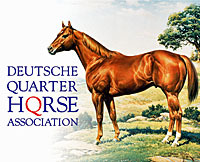 If you’re looking for free horse show patterns, download AQHA’s Showmanship Patterns e-book.